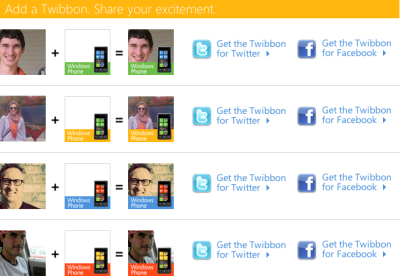 Get the official Windows Phone Twibbon for Twitter & Facebook and show your Support. There is excitement in the air with the release of Windows Phone 7 and you can show your excitement for it, using these new Twibbons for Facebook and Twitter. Microsoft now has their official Windows Phone 7 Twibbon for Twitter & Facebook and you can add them to your avatar and show your support. Click here and follow the steps!